Coach Mitch Ward has over 8 years of coaching experience and has spent the past 5 years with the Richmond Ravens program. Mitch is a certified NCCP Advanced 1 Coach and has managed coaching clinics for beginning and intermediate coaches. His extensive background in Education is an asset when working with boys and girls of all ages. Coach Mitch joined Pacific Elite Hockey School last year proving invaluable in developing stick management skills, shooting and game play tactics. 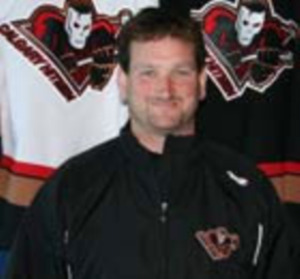 Mitch has spent the past 15 years as a scout for the Calgary Hitmen. He travels throughout Western Canada looking for and identifying players for the WHL Bantam draft. As a player, Mitch played for the Kelowna Spartans and Chilliwack Chiefs of the BCJHL and for Williams Lake Mustangs of the RMJHL.